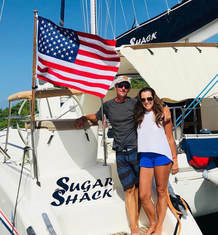 Current Boat: s/v Sugar Shack, a Catana 471 catamaran. ​Fondest Memory made on the Water: Besides having a successful Atlantic crossing from Turkey it's the exploring of new countries, meeting new people, learning new cultures and trading awesome new recipes. 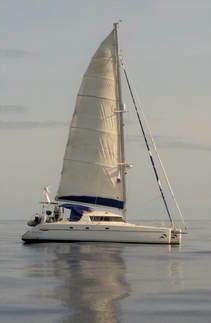 Current Boat: s/v Delphinus, a Fountaine Pajot Belize '43 catamaran. 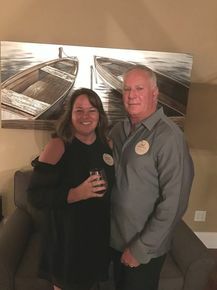 ​Fondest Memory made on the Water: I don't think we can point to a single fondest memory except to say that the whole lifestyle is what appeals to us, including slowing down, exploring each island or port of call, trying new food and drinks, and making lasting friendships with fellow cruisers. ​Fondest Memory made on the Water: First time running offshore and not seeing anything but blue sky and water. 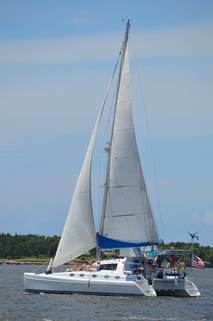 Pat L. & Cheryl S.
Current Boat: s/v Cacique, a Fortuna Island Spirit '35 catamaran. If you would like to be featured on our website in the future, please complete the Question/Comment section on the Contact page.